The buyout of Cooper Tire & Rubber Co hasn’t gone flat yet. 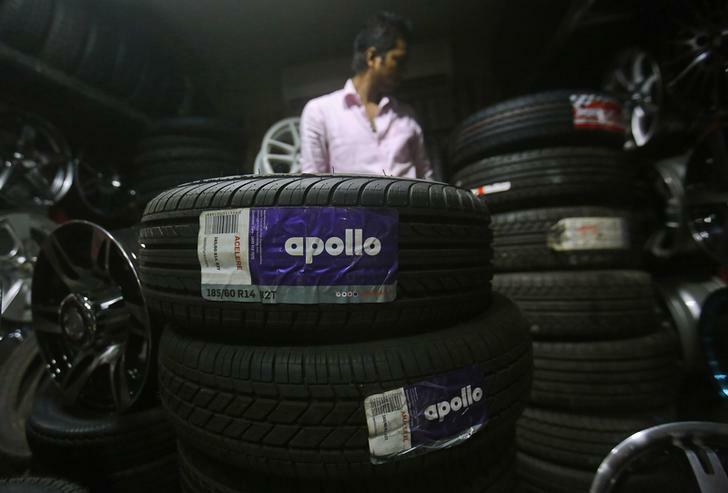 The U.S. company and Indian buyer Apollo Tyres are locked in a legal battle over an agreed $35 per share offer. But both sides insist they still see merit in a union that will create the world’s seventh biggest tyre manufacturer. Adjusting Apollo’s offer to reflect the potential cost of removing the two main roadblocks to the deal suggests a revised bid of at least $27 per share. The recent ruling by a Delaware court that Apollo had not deliberately delayed the transaction means the chances of the $2.3 billion takeover going ahead as planned are slim. There are two reasons the Indian company wants a lower price. The first is securing the backing of unhappy labour unions at Cooper’s plants in the United States. Apollo reckons this will cost $125 million, though Cooper thinks the bill will be less than a tenth of that. The bigger headache is the minority shareholder in Cooper’s Chinese joint venture, which has been agitating against the deal. Apollo says Chengshan Group demanded $400 million to sell its 35 percent stake in the joint venture. That’s twice what the Indian company offered to pay back in September. Add the two worst-case estimates together, and Apollo would have to stump up an extra $525 million. Subtract that amount from its original offer, and Cooper is worth $27 per share – a mere 10 percent premium to the company’s pre-bid price in June. Cooper shareholders might balk at such a low price. But the Chinese dispute has exposed the U.S. company’s loose grip on its joint venture, which contributes around a quarter of revenue and earnings. Assuming the subsidiary’s value is just 25 percent less than before would reduce Cooper’s standalone value by $100 million, leaving it worth around $23 per share. The culture clash exposed by the court case suggests an Apollo-Cooper union might struggle at any price. But if the Indian company genuinely still wants to go ahead, Cooper shareholders may well decide a lower offer from Apollo – or a rival bidder – is preferable to going it alone. An employee works inside a showroom selling Apollo tyres in Mumbai June 13, 2013. Graphic: What are Cooper's shares discounting? India’s Apollo Tyres said it continued to believe in the merits of a union with U.S. rival Cooper Tire & Rubber Co after a court ruled on Nov. 8 that the Indian company did not breach its obligation to close its agreed $2.5 billion takeover. Judge Sam Glasscock of the Delaware Court of Chancery rejected Cooper’s allegation that Apollo was intentionally delaying reaching a deal with the United Steel Workers in the U.S. as an excuse for paying a lower price for Cooper. The judge did not rule on whether Cooper can force Apollo to close the deal on its original terms of $35 per share in cash which the two companies announced in June. Glasscock said he would rule on that by Nov. 13. Apollo has said it wants to pay less than the agreed offer to reflect the increased cost of a new deal with union workers in the United States and the risks with Cooper’s joint venture in China. Cooper has said reaching a deal with U.S. workers would cost $10 million above the existing contract while Apollo has said that it could cost up to $125 million, according to testimony reported by the Wall Street Journal. Apollo offered in September to buy out Cooper’s partner in the Chinese joint venture for as much as $200 million, according to court testimony. The Chengshan Group rejected the offer and demanded as much as $400 million for its stake, Apollo’s chief financial officer Suman Sarkar said on the stand. Cooper owns 65 percent of Cooper Chengshan Tire.